Dead Sea Anti-Aging Peeling Gel is a great Dead Sea facial product to help in cleansing your skin. Clean skin is essential for beautiful skin. Dead Sea Spa Care Anti-Aging Peeling Gel is specially formulated with a gentle blend of rejuvenating and anti-aging Dead Sea Minerals and beneficial properties of the Dead Sea which allow for fresh and radiant skin to emerge, while dead skin cells are removed. This gentle-action Dead Sea Anti-Aging Peeling Gel removes dead cells, which inhibit the natural process of cell renewal, leaving skin clean and glowing. This Dead Sea Anti-Aging Peeling Gel is a mild exfoliante stimulates cell activity and prepares the beautiful skin to receive nourishing moisturizers. A single treatment of the Dead Sea Anti-Aging Peeling Gel clears away dead cells, unclogs pores and leaves beautiful skin looking radiant and smoother. Dead Sea Spa Care Anti-Aging Peeling Gel is made in Israel and is offered in a 50 ml / 1.7 oz jar. Gently wash face with Dead Sea Spa Care Cleansing Milk and rinse with warm water. Apply Dead Sea Anti-Aging Peeling Gel sparingly, gently massaging with a circular motion for about a minute avoiding eye areas until desired exfoliation is achieved. Rinse face thoroughly with warm water immediately after using. The Dead Sea Spa Care Anti-Aging Peeling Gel should be used once a week. For best results apply Dead Sea Anti-Aging Peeling Gel treatment before bed. Gently massage Dead Sea Spa Care Anti-Wrinkle Moisture Cream and Dead Sea Spa Care Anti-Wrinkle Eye Cream into your skin until absorbed. Anti aging skin treatments such as our Dead Sea Anti-Aging Peeling Gel are most successful if done daily to try and reduce primary causes of premature skin aging and reduce wrinkles. 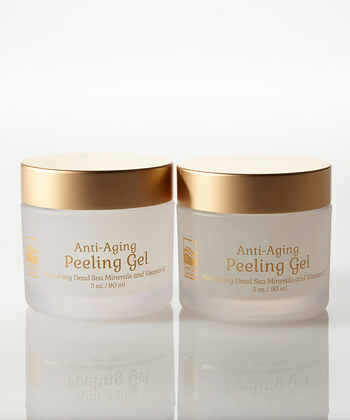 This anti-aging peeling gel is the first of the Dead Sea Spa Care products I have ever used, and I love them. I am 50+ years, and have become very crippled so my face receives a lot of abuse. The first time I used this I couldn't believe the beautiful difference in my face. I cannot put it into words. My daughter looked at me and said,"this stuff is great. Think what it will do for my face." She grabbed a bottle and ran for the shower. I have since ordered the eye-cream. This is a peel that you apply to a dry face. Kind of like a pencil eraser, it sloughes off dead skin cells as you rub it on our face. Works great! I would say it's more like an exfoliation than a peel. I have very dry, sensative skin. I can use it frequently. Skin feels soft and smooth without being stripped of moisture. I will buy this product again. I love all Dead Sea Spa Products. Excellant quailty, good for my skin, easy to use. The anti-aging peeeling gel is excellant for any one who has really dry skin who can not seem to remove the "flake" left behind by soaps,water and other cleansing products. I highly reccomend this product. Yes, I finally found a product that works that doesn"t cost an arm and a leg. Used it for the first time last night. I wasn't sure if it was working or not but after 1 or 2 minutes of massaging, I coould feel the dead skin lifting up. After rinsing it off, felt an incredible difference in the texture of my skin. My forehead is especially dry and it even looked better. Whoever has written a review in the past stating that this product doesn't work, mustn't have dry skin or didn't apply and use it correctly. I can't wait to try the moisturizers and cleanser. This product is definatley a must for anyone with rough dry skin. I was very skeptical about this product. It goes on kind of weird. Gel-like, not smooth. But when you rub in a circular motion, like it says, it does exfoliate, and when you rinse off, it gives your skin a nice glow. I use it on my hands as well! I will be reordering this! This is the best product I've ever purchased....period! When I use this peel, it makes my face so soft, it really works...I love this peel so much! And it lasts a really long time. You will be happy you purchased this, without a doubt! ecently I was traveling, and came across your products. My husband and I purchased MANY items from this booth at the mall. I am inquiring if I can purchase more jars of your peeling gel. I really enjoy your products and so does my husband. The young man that was working at the booth was so charming. Thank you for reading this e-mail. Dead Sea Anti Aging Peeling Gel is a great facial product to help in cleansing your skin. Clean skin is essential for beautiful skin. Dead Sea Anti Aging Peeling Gel is specially formulated with a gentle blend of rejuvenating and anti-aging Dead Sea Minerals and beneficial properties of the Dead Sea which allow for fresh and radiant skin to emerge, while dead skin cells are removed. This gentle-action Dead Sea Anti Aging Peeling Gel removes dead cells, which inhibit the natural process of cell renewal, leaving skin clean and glowing. This Dead Sea Anti Aging Peeling Gel is a mild exfoliante stimulates cell activity and prepares the skin to receive nourishing moisturizers. A single treatment of the Dead Sea Anti Aging Peeling Gel clears away dead cells, unclogs pores and leaves skin looking radiant and smoother. Dead Sea Spa Care Anti-Aging Peeling Gel is specially formulated with Dead Sea Minerals and beneficial properties of the Dead Sea, which allow fresh and radiant skin to emerge, while dead skin cells are gently removed. The Dead Sea Spa Care Anti-Aging Peeling Gel is a water-based product, and it is more favorable for people with oily skin. By simply rotating the gel in a circular motion, the Dead Sea Spa Care Anti-Aging Peeling Gel gently exfoliates the facial skin clean of dead skin cells, dirt and oil, while leaving the skin moisturized and smooth. There are several steps to effective facial treatments and effective anti-aging treatments. An effective cleanser is a key component to your facial treatment because women want anti-aging products that really work against the signs of premature aging. The Dead Sea Spa Care facial products are popular because the minerals from the Dead Sea are so effective for facial skin care and anti-aging facial treatments. A great scrub is a key step to a treatment to help reduce line, reduce wrinkles and premature signs of aging. The natural ingredients in facial product are essential to help stimulate collagen and elastin, and help improve elasticity of the skin, for healthy younger looking skin. Purification of the skin is critical to activate facial skin cells, remove dirt, bacteria and toxins and help absorption of oxygen into the skin. Microdermabrasion provides a slow and controlled exfoliation of the skin, but it is evasive. Anti-oxidants protect against free radicals and slows down the aging process. The problem with facial cleansers is that they can leave your facial skin feeling dry, or are too abrasive causing blemishes or acne. The Dead Sea Spa Care Anti-Aging Peeling Gel cleanses your pores, and leaves your skin feeling soft and healthy. You are never too young to start taking care of your skin and facial wrinkles, and a critical step is finding an anti-aging facial treatment that works for you. 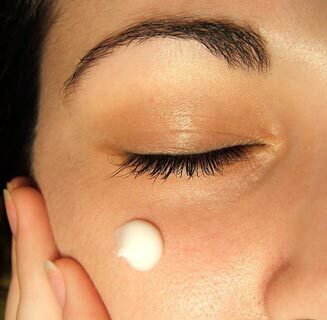 Anti-aging facial treatments that work are hard to find, but many women love the Dead Sea Spa Care Anti-Aging Peeling Gel because the results are instant. You can actually see the gel working right away. No need for botox or plastic surgery. A proper exfoliant can help rejuvenate the skin just as effectively. Why you ask did Dead Sea Spa Care chose to center their company around the benefits of the Dead Sea Minerals, and chose to use these minerals in their Anti-Aging Peeling Gel? Over millions of years, the hot dry air and high evaporation rate have contributed to the high salt concentration present in the Dead Sea, which is 1200 feet below sea level, making it one of the saltiest lakes in the world. Compared to the 3% salt content of ordinary sea water, researchers claim that the Dead Sea water contains 32% salts with relatively high concentration of 21 minerals such as magnesium, calcium, bromide and potassium. Twelve of these minerals are found in no other sea or ocean, and these minerals are some the principle ingredients in the Dead Sea Spa Care Anti-Aging Peeling Gel. With age, the level of minerals in the body is depleted, and researchers have found that the body no longer produces minerals, and must draw from an external source of supply. Minerals provide protection and strengthen cell membranes against dehydration and environmental hazards. It is critical to exfoliate the skin on a regular basis to help remove dead skin cells, and the Dead Sea Spa Care Anti-Aging Peeling Gel is a wonderful, mild exfoliant that helps to gently remove dead skin cells. Why was it Cleopatra's Choice to go to the Dead Sea hundreds of year's ago? It's because of the minerals found there, which are essential for the metabolism of the skin. Facial skin care is at the top of the list of most women worried about fine lines and wrinkles, and proper facial cleansing is an important step in anti-aging skin treatments. That is why women love the Dead Sea Spa Care Anti-Aging Peeling Gel because it's easy to use and leaves your skin feeling young and beautiful. The natural ingredients in facial product are key. Dead Sea Minerals provide protection and strengthen cell membranes against dehydration and environmental hazards. People who have skincare problematic skin such as eczema, acne, rheumatism or psoriasis and traveled to Israel to visit the Dead Sea, can tell you first hand about the benefits of the Dead Sea minerals, which are wonderful for your skin. There are many benefits of Dead Sea facial peel. For one thing, Dead Sea products contain more than 21 mineral essential for skin health and beauty. Dead Sea facial peel have been proven to provide exceptional relief for skin ailments such as psoriasis, eczema, wrinkles and acne. Dead Sea facial peel enhance cell to cell membrane communication, which is essential to grow new skin cells making the skin look refreshed and firm. Dead Sea facial peel, which are made with minerals from the Dead Sea, do not leave your skin feeling oily, instead providing you with a smooth, moisturized feeling. The Dead Sea minerals found in Dead Sea facial peel help your skin rebuild itself to help maintain it's natural moisture and younger looking skin, and healthier looking skin. By using the Dead Sea Spa Care Facial Peel, we've made it easier for your skin to rid itself of dead skin cells, preventing clogged pores, which often cause the skin to look dull. The Dead Sea minerals found in Dead Sea facial peel are beneficial no matter what your skin type is, dry, oil or normal, and that is why Dead Sea facial peel are so popular. Dead Sea Spa Care brings the benefits of the Dead Sea facial peel to your own home so you can create your own personal spa with salt scrubs, body mud and other skincare products and nailcare products. The Dead Sea Spa Care Anti-Aging Peeling Gel is a hot product in the market. To use the Dead Sea Spa Care Anti-Aging Gel you do the following: Gently wash face with Dead Sea Spa Care Cleansing Milk and rinse with warm water. Apply Anti-Aging Peeling Gel sparingly, gently massaging with a circular motion until desired exfoliation is achieved. Blood circulation to the skin helps diminish fine lines and wrinkles, and the circular motion used to apply the Dead Sea Spa Care Anti-Aging Peeling Gel can help stimulate blood flow. The Dead Sea Spa Care Peeling Gel leaves your skin with a healthy glow, it's like a salon treatment at home. Women want proven results from products that are non-evasive to avoid using botox. They want products that are safe, all natural, affordable and to have therapeutic value for the whole body. The Dead Sea Spa Care Peeling Gel facial product should be used once a week. For best results apply treatment before bed. After washing your face with warm water, gently massage Dead Sea Spa Care Anti-Wrinkle Moisture Cream and Dead Sea Spa Care Anti-Wrinkle Eye Cream into your skin until absorbed. No need to travel to Israel to get the benefits of the Dead Sea Minerals, and just try the Dead Sea Spa Care Anti-Aging Peeling Gel as part of your anti-aging skincare treatment. Dead Sea Spa Care facial skincare products are facial products that really work and are products that help reduce wrinkles. Once you try this weekly peeling gel, you will look forward to using it and reaping the benefits of this fine anti-aging facial product. The Dead Sea Spa Care Anti-Aging Peeling Gel is a hot product in the market. Ahava was one of the first companies to develop products from the Dead Sea, but in the year's past there have been several new companies to follow Dead Sea Spa Care in developing Dead Sea Cosmetics such as Premier USA, Egyptian Goddess, Swisa Beauty, Obey Your Body, secret spa, Dead Sea Premier, deep sea cosmetics, premier dead sea, Dead Sea Secrets, Heavens Threapy, Seacrest Dead Sea, Dead Sea Magik, Dead Sea Premier products, Premier Dead Sea cosmetics, soapranos. It's no wonder why Cleopatra's choice was the Dead Sea for her first spa. She knew the powers of it's nutrient-rich mineral mud.